1. The presence of ambient light will provide extra illumination to your images and they can also certainly add to the mood to the image. Candles or sunlight streaming from the church windows can boost visual appeal. 2. Keep a shot list of the people that you have to shoot during the ceremony aside from the bride and groom such as the parents, close friends, aunts and uncles, and grandparents. This will keep you focused especially when there is a large number of people who have attended. Familiarize yourself with their faces so they can be easy to spot in the crowd. 3. Make sure that you are ready outside the church when the bride arrives since it is an important moment that you cannot miss. Take shots of her getting out of the car with her father, and some poses of her and the bridal entourage by the church doorway. Try to be quick, though, usually two to three minutes is sufficient. 4. 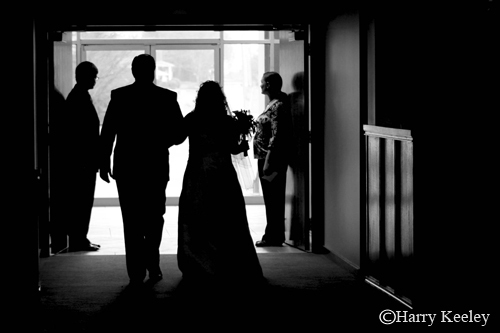 Photograph the bride as she walks up the aisle with her father. Also remember to take pictures of the guests’ reaction and the groom’s expression as he looks at his bride. Your job is not simply to record the sequence of events but also to capture the strong emotions and vibrant atmosphere permeating the room. 5. 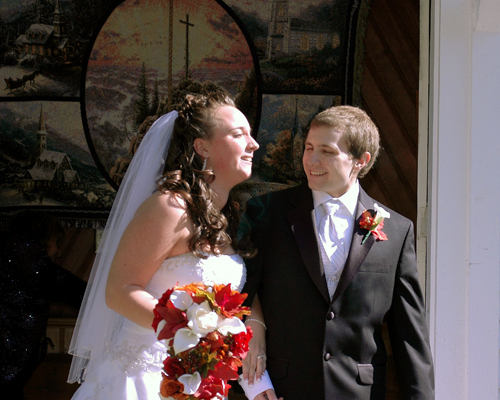 Also keep a shot list of the essential key moments in the ceremony such as when the bride and groom meet at the altar, when they light the wedding candles, the exchange of vows, the exchange of wedding rings and the kiss after the priest pronounces them as man and wife. 6. Be discreet. A wedding ceremony is a solemn occasion and no one would like it if you were walking back and forth in front of everyone just to get shots of the bride and groom. Find a position where you have a good view of the couple and the guests without them noticing you too much. 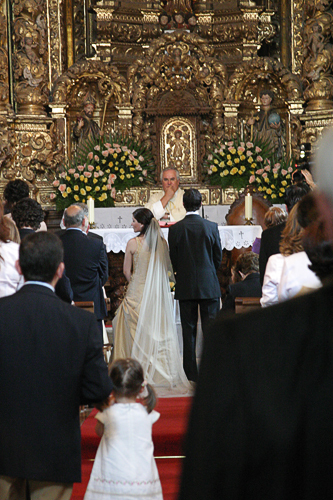 For example, during the exchange of wedding rings, zoom in on the rings and the hands from a spot by the aisle. Do not go up to them by the altar just so you can get a good close up shot. 7. During the signing of the register, take shots of the priest with the newlyweds, as well as the entourage. The bride and groom might be the center of attention in the ceremony but remember to take as much shots of everyone else, especially the special people that the bride and groom would want to have lots of photos of as well. 8. As the bride and groom walk down the aisle and outside of the church, this is a moment full of photo opportunities. Make sure you have shots of the couple’s faces in close up, full body shots of them walking out the church door, and the expressions of the guests as they throw rice and congratulate the couple. Remember to adjust camera settings for outdoor exposures. This entry was posted on Sunday, March 6th, 2011 at 9:00 am	and is filed under Event Photography, Photography Basics, Photography Genre, Photography Techniques, Photography Tips, Wedding photography. You can follow any responses to this entry through the RSS 2.0 feed. You can leave a response, or trackback from your own site.